Bookish Reviews is my main blog, where you will find promos, giveaways and reviews for clean romance, women's literature, self-help, ect. Bookish Reviews ~ Hot Under The Collar contains promos, giveaways and reviews for adult material and you will have to agree to the terms to enter. Bookish Reviews ~ YA & Children's Reads contains promos, giveaways and reviews for young adult, teens and children's novels. Signing up for my newletter? I will protect your privacy. You will be signing up for a daily feed of my blog which you have to confirm your subscription in order to recieve a condenced daily. Currently this is just a HOBBY. I partner with promo companies that give me the material to post. I can't always now if there are link errors. The promo companies do their best to give us hosts everything error free and on time. I don't make a profit for any of the work I do as a host but try my best to post according to everyones wishes. I'm a wife, a mom of 2 young ladies, self-employed and a hobby blogger. 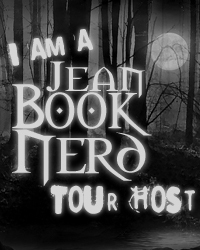 hosted by JustRead Publicity Tours! Two women fighting for their dreams, one who’s long lost hers, are united by tragedy and a long-held secret. Pregnant with her first child, Emily Hayes is eager to help her mother finish transforming an estate into the Willow Inn and write a novel about Willow Falls’ colorful history. A tragic event threatens her parents’ plans to refurbish an abandoned hotel and transform the obscure Georgia setting into a tourist destination. Sadie Lyles left Willow Falls a murderer who’d killed the town hero. She returns as a despised felon and seeks solace in the town’s café. Emily struggles to unite the close-knit community and becomes Sadie’s biggest advocate. She strives to uncover the truth about the crime and save her town from dying. To appease her father, Rachel, a VP in his Atlanta real-estate-development firm, relegates her acting dream to secret performances for imaginary audiences. After meeting charming, flirtatious Charlie Bricker, manager for Willow Falls’ future vineyard, she vows to break free from her father’s control. The tragedy and Willow Inn’s secret past launch Emily and Rachel on a collision course with destiny and truth. Pat Nichols is proving it’s never too late to follow your dreams. During the spring, summer, and early autumn of her life this side of heaven, she and her high-school-sweetheart husband struggled and triumphed through life’s peaks and valleys. They raised two children, welcomed four grandchildren—one is with the angels—bought a Corvette, and ticked off every item on their travel bucket list. Now approaching her winter years, she ignores the minor aches that come with age and is grateful she can still paint her own toenails and dance with her hubby. Following twenty-five years in six different management positions with an international beauty company, Pat launched career number two as a novelist and freelance editor. She chose women’s fiction to honor her daughter’s strength in the face of significant health issues and the loss of a child. Her corporate experience, working with hundreds of amazing women from all walks of life, inspires her to create stories about women who confront challenges in the pursuit of their dreams. Although she writes five days a week, she and Tim—her best friend and number one fan—continue to celebrate their fifty-plus-year marriage. They lead a small group, volunteer for church guest services, participate in two social organizations, and spend time with family and friends. She thanks God for the blessings that brought her joy and the challenges that continue to strengthen her faith, skills, and resolve. Pat was born in Illinois, grew up in Orlando, and has called Georgia home since the eighties. She lives in an Atlanta suburb, is a member of American Christian Fiction Writers, Word Weavers, Christian Pen, and Gwinnett Church (a campus of Northpoint Ministries). (1) winner will receive a $10 Amazon Gift Card from the author. Enter via the Rafflecopter giveaway below. Giveaway will begin at midnight February 4, 2019 and lasts through 11:59pm February 11, 2019. Open Internationally. Void where prohibited by law. Winners will be notified within 2 weeks of close of the giveaway and given 48 hours to respond or a new winner will be chosen. Sounds like a book I would like. 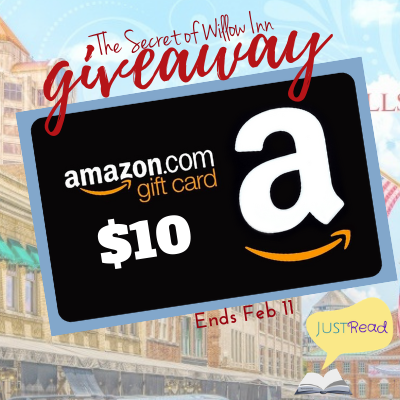 I want to learn about the Willow Inn's secret past! Copyright Bookish Reviews 2018. Awesome Inc. theme. Theme images by duncan1890. Powered by Blogger.